The first time the Heavy Haulage Arena - "Play Pen" - was used. Before, "Heavy Haulage" etc performed right among the spectators throughout the site. From now on this would take place in a large, fenced arena. 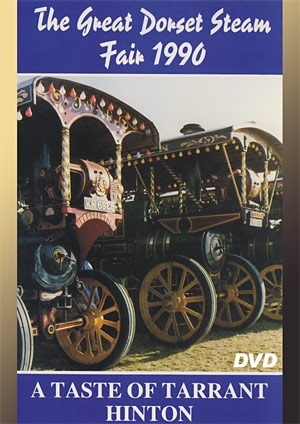 Some dramatic night ascents by Heavy Haulage with the fairground in the backgound, the late Arthur Field with his "dancing Steam Rollers" display, the very unique engine made by James & Fred Howard in 1872, a huge collection of commercial vehicles and the now usual spectacular Saturday Night are shown. The first time the "Play Pen" was used. Night ascent by Heavy Haulage with the fairground in the background. Unique engine made by James & Fred Howard in 1872. A huge collection of commercial vehicles. Spectacular Saturday Night are shown.